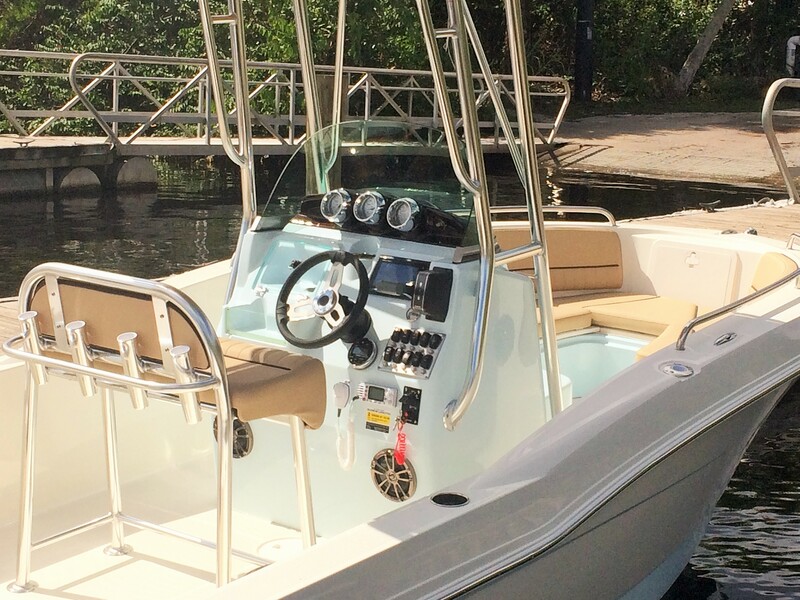 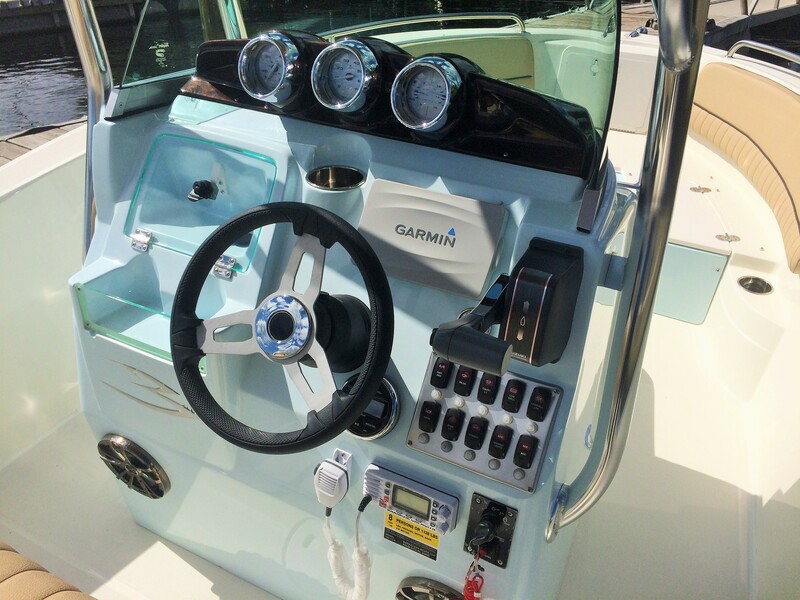 The Barracuda 188 CCR, CCF, CCS, and CCO Center Console Models all offer the new Step Down Head Console as an option for 2016. 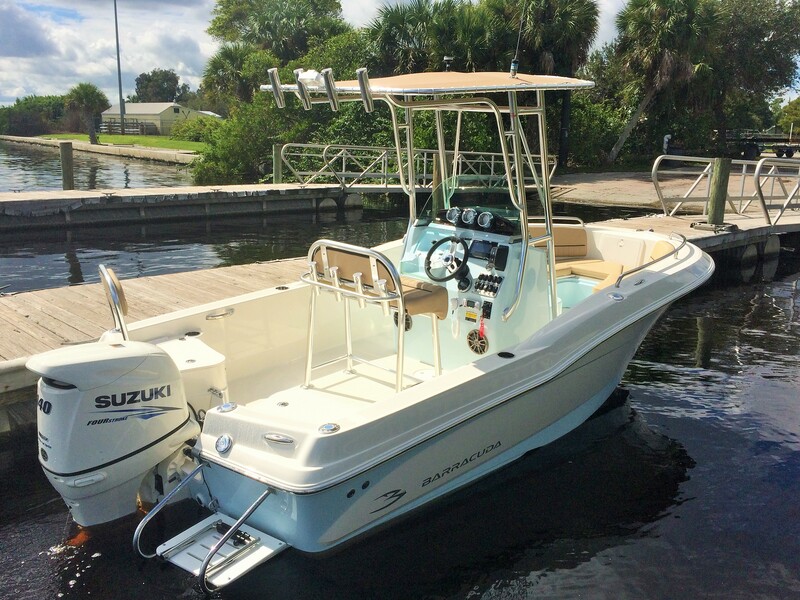 Unlike the few competitive models that offer a head compartment in an 18 footer, the Barracuda Step Down Console offers the perfect combination of luxury and innovative amenities. 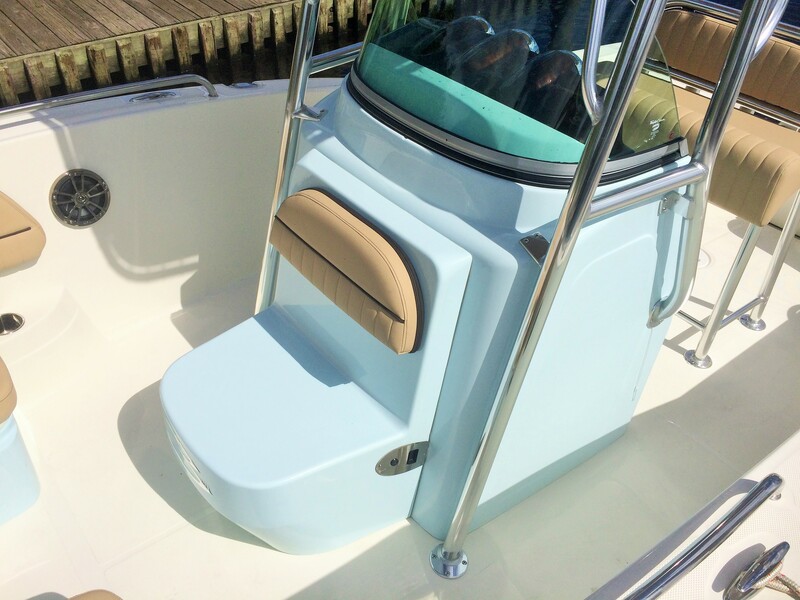 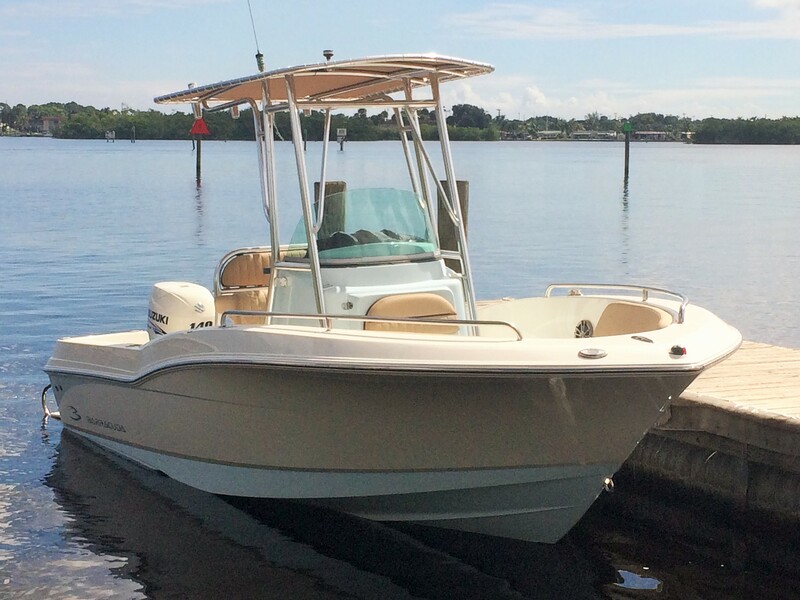 Boasting a fully molded fiberglass step down pan with diamond non-skid, the Step Down Console is “Flipped Over” to place all of the driver controls to the starboard side. 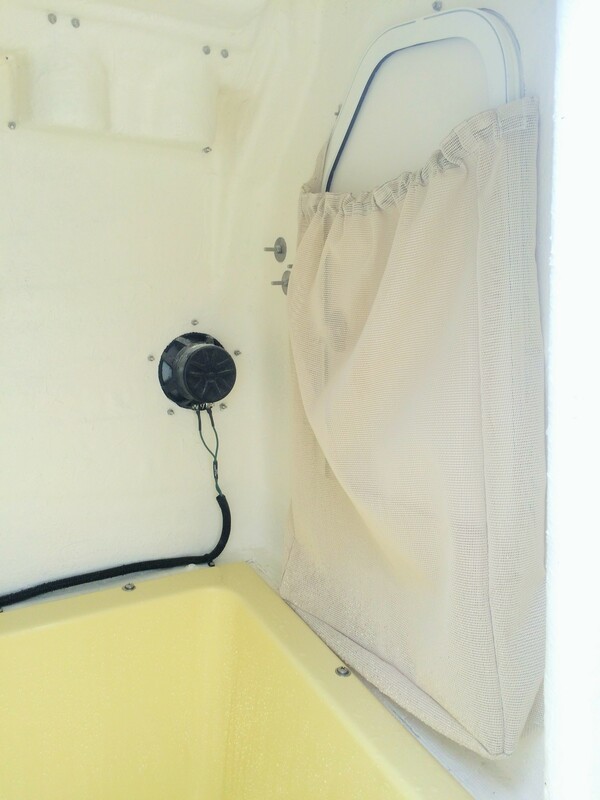 This allows all of the controls, cables, hydraulic lines, and wires to be neatly hidden behind a solid, yet removable wall inside the console. 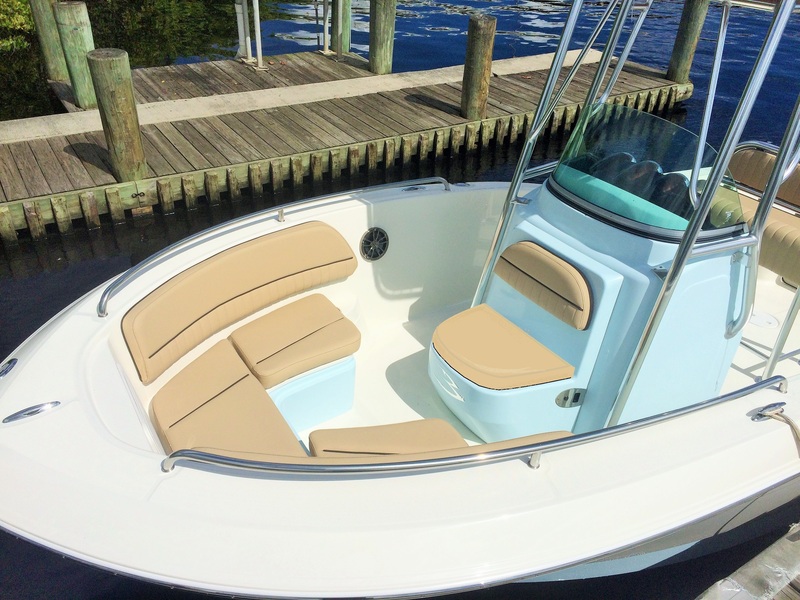 This gives the interior of the console a warm, inviting aura, as it looks more like a luxurious cabin in a much larger boat. 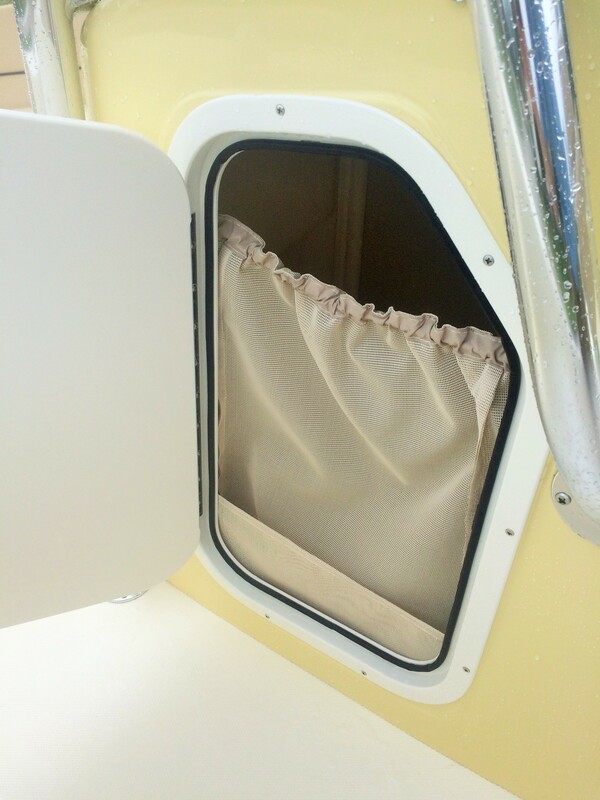 Access to the accommodations are through the hinged fiberglass door at the front of the console. 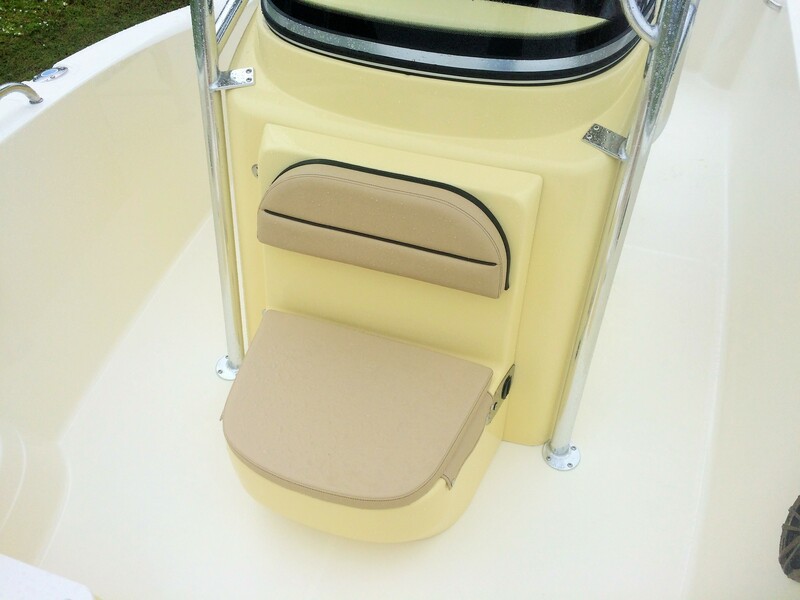 The molded in seat features a removable plush bottom cushion and backrest for supreme comfort. 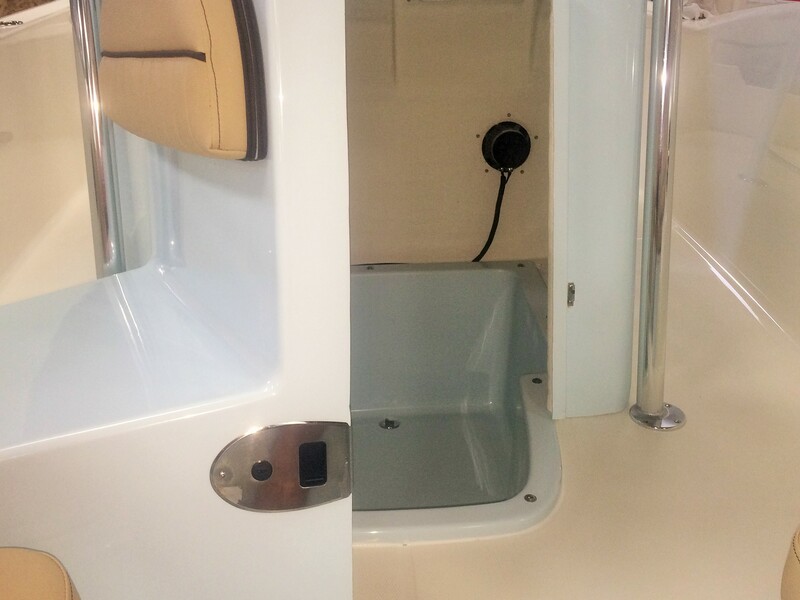 Barracuda even includes a standard stainless steel drain plug to seal off bilge water from the compartment. 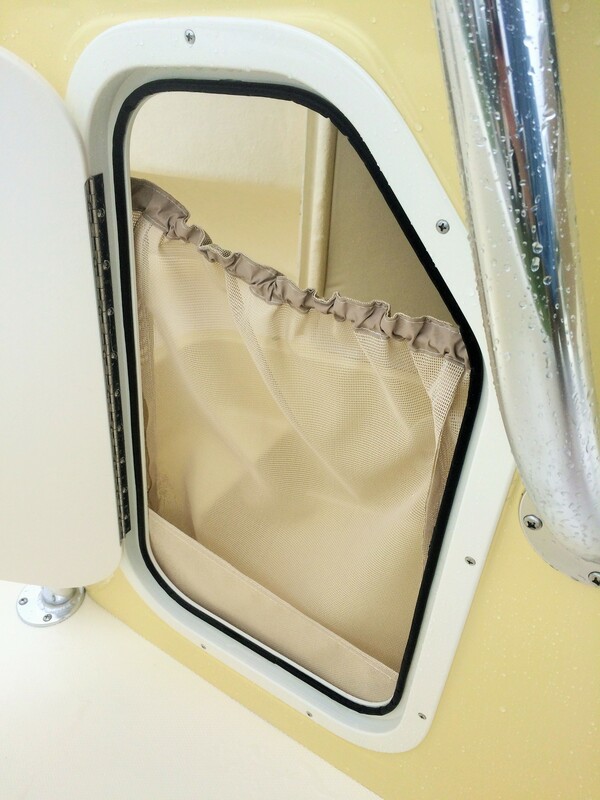 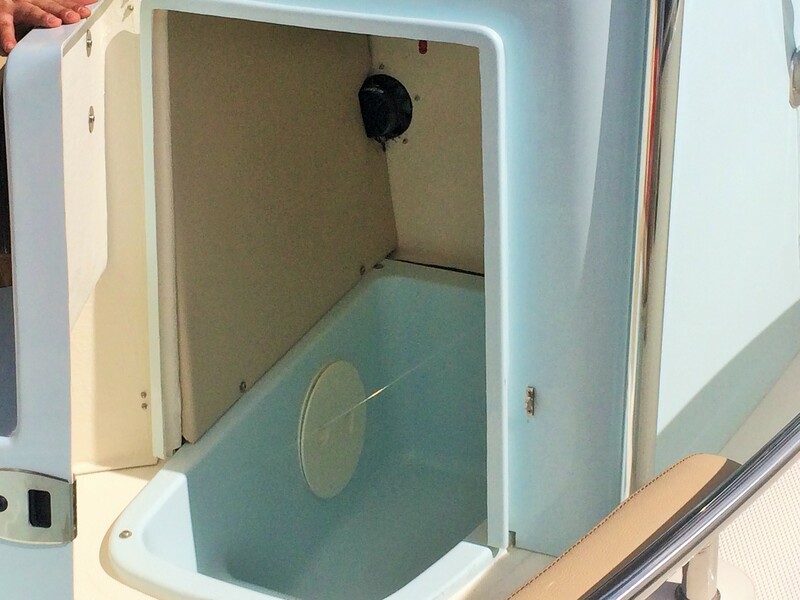 Additionally, innovative features like a 24 gallon fresh water system and pull-out shower, make this option a must for boaters looking to get Big Boat Features, in an efficient package.